Product prices and availability are accurate as of 2019-04-23 11:30:33 UTC and are subject to change. Any price and availability information displayed on http://www.amazon.com/ at the time of purchase will apply to the purchase of this product. 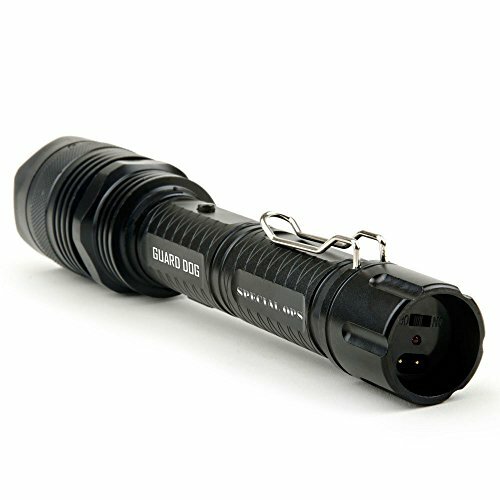 Guard Dog Security introduces the world’s most elite tactical flashlight and stun gun combination. Built with type III aluminum alloy, aircraft grade material, the Special Ops is a premium tactical self defense device designed for intensive grade army, military and special operation units, yet the police flashlight and stun gun is available to the general public. With single-hand operation, the Special Ops tactical flashlight is the loudest stun gun on the market with powerful immobilizing sparks. 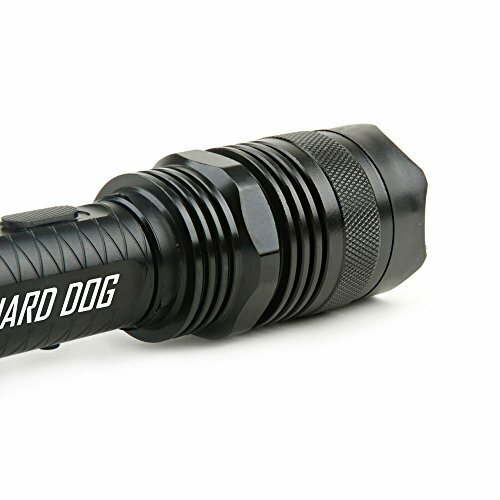 In the event of fire, increased water level or immediate escape, the Special Ops Guard Dog flashlight shatters glass with its rigid bezel. A stainless steel belt clip allows for multi-functional use and convenient carry. The Special Ops flashlight has three tactical light settings: high at a blinding 380 lumens, energy conservation 50 lumens and emergency strobe at 380 lumens. 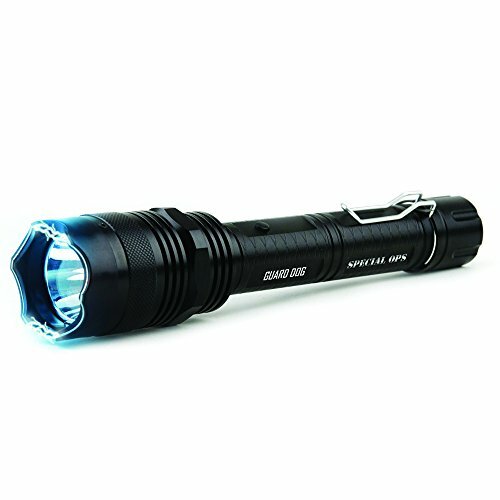 The first of its kind, the Special Ops police flashlight can fend off attackers by utilizing the light utility alone. The brightest, most powerful of its kind, Guard Dog demonstrates its tactical self defense specialty in the Special Ops. 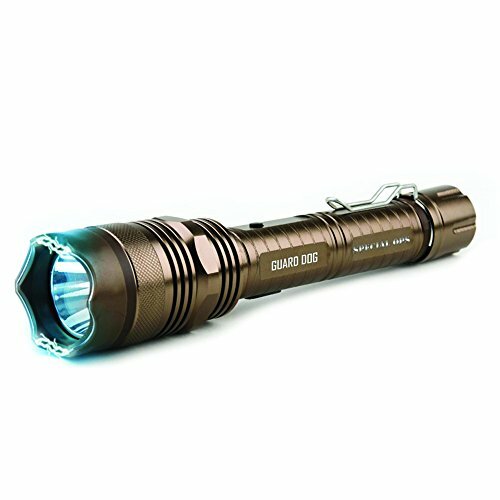 With Guard Dog’s exclusive Concealed Inner Stun Technology, all stunner prongs are completely concealed, so the stun gun looks like just another flashlight - but it sure isn’t. 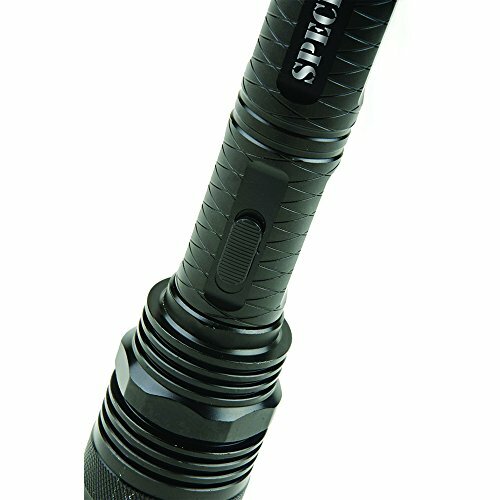 The powerful stun on the Special Ops tactical flashlight will disable an attacker and the massive sound will surprise and scare anyone else within reach. Don't trust your security to cheap knockoffs, Guard Dog's Concealed Stun Technology is the best in the industry. 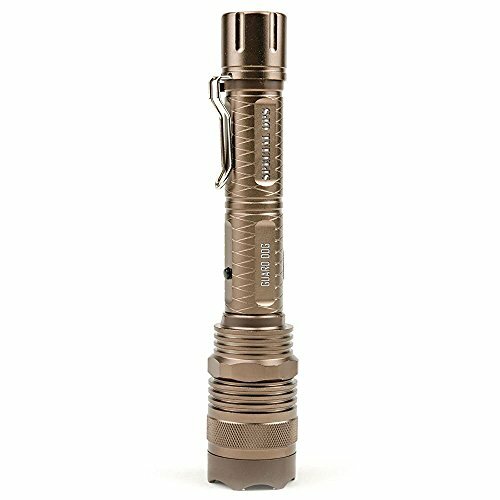 CONCEALED STUN GUN: The Guard Dog Special Ops tactical self defense stun gun flashlight conceals 8 million volts in the top layer of the flashlight. USED BY SPECIAL OPS: This premium defense device is designed for intensive grade army, military and special ops units, yet the police flashlight is available to the general public. 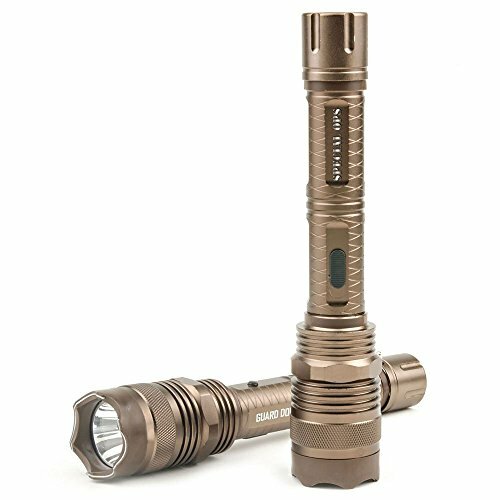 TACTICAL FLASHLIGHT: A blinding 380 lumen light is built in to the Special Ops flashlight stun gun, with three light settings for everyday use and self defense. 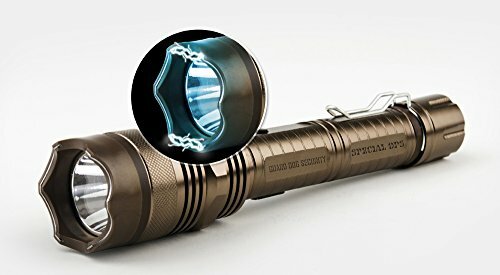 SHOCKPROOF BODY: Made from resilient type III aircraft grade aluminum, the Special Ops Guard Dog security flashlight shatters glass with its rigid bezel. 100% SATISFACTION: If you're not happy with your Special Ops Tactical Flashlight for any reason, Guard Dog will replace it for free.